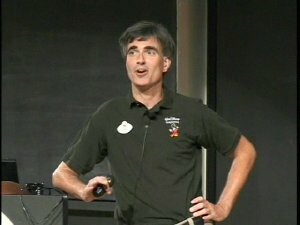 Randy Pausch, the man who moved millions with his Last Lecture, died on July 25th. Randy’s Last Lecture speech is one of the most inspirational presentations I’ve ever seen by anyone, in any context, at any time. A book allows me to cover many, many more stories from my life and the attendant lessons I hope my kids can take from them. … The book is a far more personal look at my childhood dreams and all the lessons I’ve learned. Putting words on paper, I’ve found, was a better way for me to share all the yearnings I have regarding my wife, children and other loved ones. I am deeply saddened that his candle burns no more, but I am joyful that it burned so bright. He taught so much to so many.